* You can donate to our GoFundMe fundraiser by hitting the DONATE button this page. * Do you own earth-moving equipment? Can you operate heavy equipment? We can definitely use help during our February construction phase. In particular, we are looking for a small 3-5-ton vibratory roller and tracked loaders. * Do you have experience shaping dirt jumps? 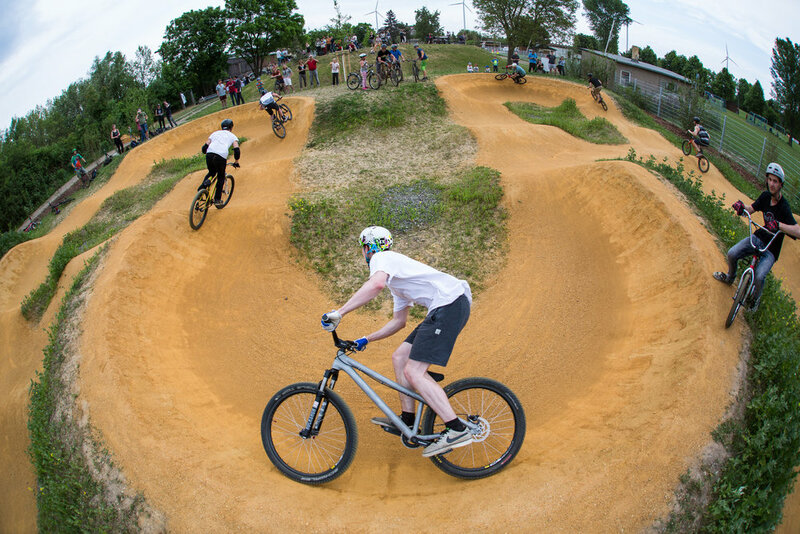 We'd love to get your help putting the final touches on the jumps, berms and rollers and will be organizing a volunteer army to help buff out the features. * We have lots of other needs for in-kind support, just reach out to us for more details. * If you would like to make a significant donation or would like partner with Dirt World, we'd love your support -- and we'd love to tell everybody about the support on this website and on signage at the park. Just get in touch. * Sign up here to get regular email updates as we go forward. We are looking for financial support from individuals, businesses and nonprofit foundations. If you are interested in making a significant contribution, please contact us at info@dirtworld.org. We will be thanking major donors on prominent signage at the park. For a full background on the park, please check out this PDF for potential funders. Sign up for our email list here, to get news about dig days, planning sessions, raffles and fundraisers.